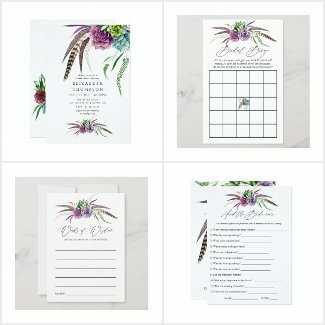 Personalized Bridal Shower games for extra flair! 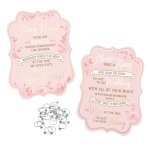 There are lots of places you can buy personalized paper themed Bridal Shower Games, not least is Zazzle where you can find unique designs and request custom edits - you can see their most popular games here. Today however I am mainly highlighting the current trending selection as featured on merchant Beaucoup. Their bridal shower games include details of how they're played highlighting the fun that can be had for you and your guests. Click on the images/links to view larger and greater details and don't forget to check out their sales! 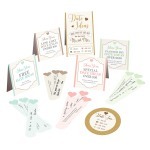 Lots of fun to be had with these elegantly designed wedding bridal shower games. Meanwhile if you're looking for a particular theme for your bridal shower games, drop me a line in comments and I'll try and source what you're seeking, I may even custom design it for you (time allowing). 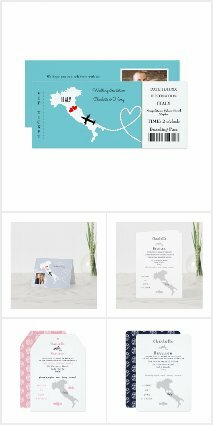 Last but not least here are some fast links to Zazzle for great personalized bridal shower invitations, favors, treats and yes ...more games! Description:See which of your bridal shower guests can figure out who's who in the relationship, with this fun "Guess Who?" Bridal Shower Game. 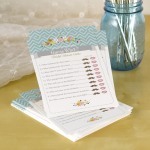 Description:Laugh out loud reading your wedding shower party game answers on this bridal mad libs card. 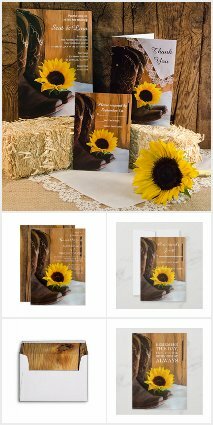 Shaped like a diamond ring, this kraft paper colored card is sold in sets of 50. Order now. 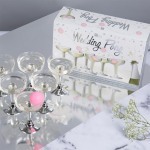 Description:Find unique bridal shower games and co-ed wedding shower games at Beau-coup that will make any shower truly memorable. 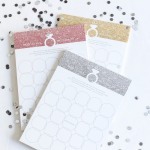 Description:Your bridesmaids can have a blast with our date suggestion kit. Each stick has room to write down date ideas, with different colors indicating different date costs. 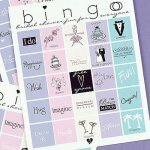 Description:Invite your bridal shower guests to call it like they see it with this cute game of wedding ring bingo! 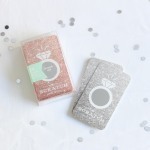 Description:Add a little excitement to your bridal shower or engagement party with these elegant scratch cards. 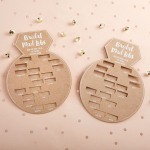 Description:Our bridal shower ring game gives you two unique ways to have a blast. Have guests search for hidden rings or collect them when people say "wedding" to win a prize! 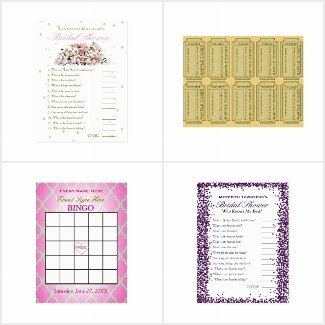 Description:This Bride-to-Be Bingo Game is such a fun way to get all your bridal shower guests engaged in the gift opening! 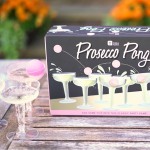 Description:It's easy to get the party started, with this classy and fun prosecco pong! 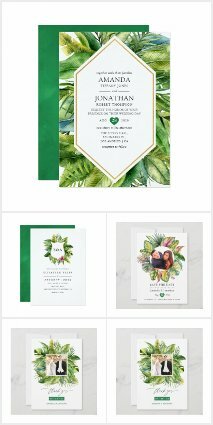 Don't forget to check out Zazzle's personalized wedding bridal shower games, here's a succulents themed collection to wet your taste buds!